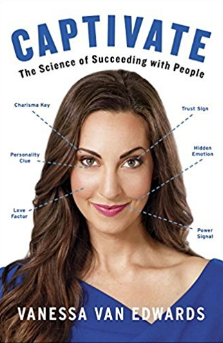 I recently read “Captivate: The Science of Succeeding with People” by Vanessa Van Edwards. Below are the quotes I found most interesting. If you like the quotes, buy the book here. Words of Affirmation: People with this love language express their care through spoken or written word – love letters, texts, and verbal expression of love. Gifts: People with this love language express their care through small gifts or tokens of appreciation – jewelry, candy, or flowers. Physical Touch: People with this love language express their care through touch – hugs, cuddles, pats on the back, loving embraces. Acts of Service: People with this love language express their care by doing things for others – cooking their spouse dinner, running errands, or crafting something for them.